Explanation of the workings of homeopathy. Yes Beren and ... the very Spirit that brings them into being and holds them , Love ... that is . Good to see your presence in new places of our forum . That's great that you have brought that video. I have been fascinated with homeopathy for a number of years. I have saved my cat 3 times. He was 4 months old and he eat cooked corn. I saw a vet and on a second visit she wanted to put my cat in hospital for further examination. I took him to another vet but meantime I was reading homeopathy. I gave him a remedy and when I saw a vet who had some knowledge of homeopathy, she confirmed that my cat was okay. I have also save my friend's cat from surgery too by giving the same remedy. Unfortunately, homeopathy is not as powerful for adults as for children and pets. Adults suppressed so many feelings and it is much harder for a practitioner to choose a remedy that matches physical and emotional states. Lovely testimony about these cats starninja . I have seen the miracle of homeopathy work on my son when a kid. For several months he had recurring otitis for which he was given antibiotics. given to him and he never suffered from ear infections everafter. I feel bad for the people who cannot comprehend or accept homeopathy.. it is only to their great misfortune. That's really nice information about homeopathy. I like it. mike22 wrote: That's really nice information about homeopathy. I like it. Thank you so much Arrowind . thank you mudra for this thread. I often hear insinuation that Prince Charles of UK is a reptile and not a good person and is a member of the illuminati... but I also know that he has dedicated a good piece of his life to homoepathy and its promotion as well as the Gerson Therapy... makes we wonder where the truth lies as these systems of healing are not in accord with reptilian agenda. Contemporary homeopathic practice relies predominately on provings to reveal nature’s energies, with clinical experience serving to verify and ground the proving information. Some homeopaths have extrapolated information through family relationships, and others have noted how the process of triturating a source material amplifies the intensity of its energetic field, creating additional avenues of experience and understanding. Experiencing that same continuum of energy has conveyed similar information to other healers throughout history. 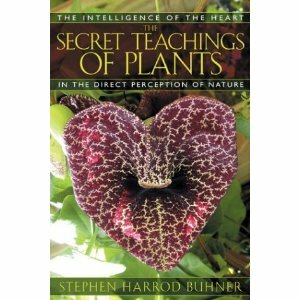 In ‘The Secret Teachings of Plants: The Intelligence of the Heart in the Direct Perception of Nature’, author Stephen Buhner describes common practices and experiences by which all cultures have interacted with nature. He speaks from 30 years of experience as an herbalist and intuitive healer, and correlates his experience with liberal quotations by Goethe, Paracelsus, Thoreau, Luther Burbank, Bose, George Washington Carver and others. By describing how one learns directly from plants, Buhner provides the foundation for developing and employing that same sensitivity with clients. In conclusion, Hahnemann encouraged homeopaths to conduct provings on themselves, in effect leading to the direct experience of energy fields. He also instructed very sensitive individuals to simply inhale the “energy” of the remedy. “Secret Teachings” discusses a similar process as described throughout history–one which simply exists on the same energetic continuum. For homeopaths seeking to enhance their sensitivity to nature’s energies, and to complement their understanding of existing proving information, “Secret Teachings” is an enlightening guide. The 12 tissue salts are small, easy to learn, set of remedies capable of addressing a surprisingly comprehensive range of medical problems. They form a sub-group within Homeopathy called the Biochemic System of Medicine. All disease arises from imbalances in the 12 vital salts found in each living cell and can be addressed by treatment with those same salts. This is the theory behind the use of these remedies. These 12 remedies are widely and inexpensively available at health food shops. nervous, digestive and skin complaints. Another offshoot of homeopathy is the Bach Flower Remedies... well worth investigaing for some.. Some people are very sensitive to them and respond quickly. Others do not respond at all. Rescue remedy is one that most respond to, perhaps because when it is used it is truly indicated according to homeopathic principle. Thanks for mentioning Dr Bach's flower remedies Arrowind. I have been using for over ten years and found them very helpfull. I always carry on me a bottle of Rescue remedy. The way the remedies work subjectively for me is that they almost instantly put at a distance charged mental thoughts that had collapsed on me and restore a safe and clean space around me. and “diseased states”. The aim of Therapeutics was to heal acute and chronic diseases, turning them into perfect health. he’s not interested in discovering the ultimate cause of disease, moreover, that the latter is absolutely unknowable. owing to the state of knowledge at his time. But that the “how” and “what” are eternally concealed (ewig verborgen). The same principle applies to remedies: “... the curative essence of remedies isn’t recognizable by itself (an sich). which represent deviations from the usual condition. knowable) manifestations. What did Hahnemann’s environment had to say about essences, manifestations and knowledge? the answer lies in Immanuel Kant. Things have actual existence in reality. All human knowledge begins by and through experience. Yet, sense-perception (which he calls “intuition”) is not enough: “Intuitions without concepts are blind”. Besides the objects of this world, our concepts can’t grasp anything: “Concepts without contents are empty”. Thus, knowledge depends on the structure of the human spirit. Spirits built otherwise would know a whole different world. we would perceive everything blue". Video on antinano ( particles device .